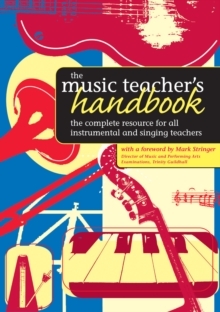 The Music Teacher's Handbook is a handy reference guide for all instrumental and singing teachers. Providing practical answers to real issues faced in a modern teaching environment. This is an easy to use manual and acts an invaluable 'dip-in' resource. Fourteen chapters, on a wide range of subjects give insights into day to day encounters all written by experts in the field. In addition, ideas and activities for lessons have been incorparated along with a number of photocopiable resources.